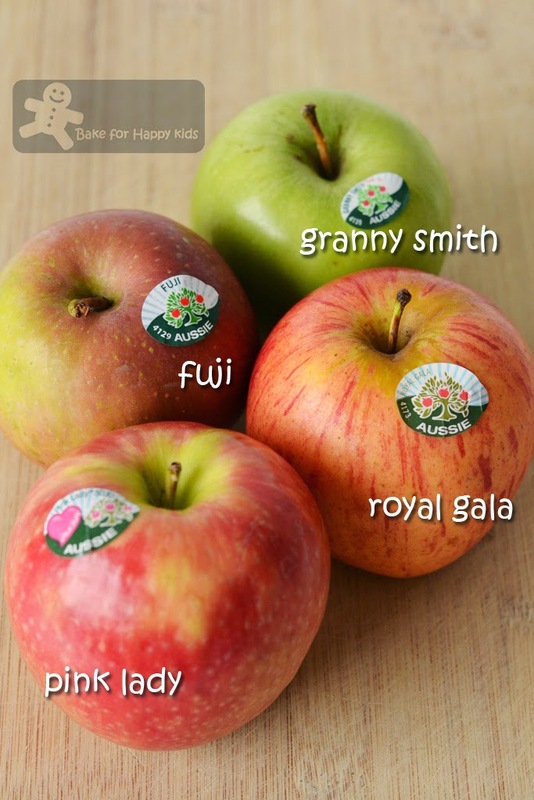 Are you a person that can fully appreciate beauty of apples? If you are the type of person who eat nothing but just apples, I'm sure that you can... LOL! I'm sure that Marie-Hélène is the person that can fully appreciate the beauty of apples. After baking this apple cake, I'm sure that I can too! 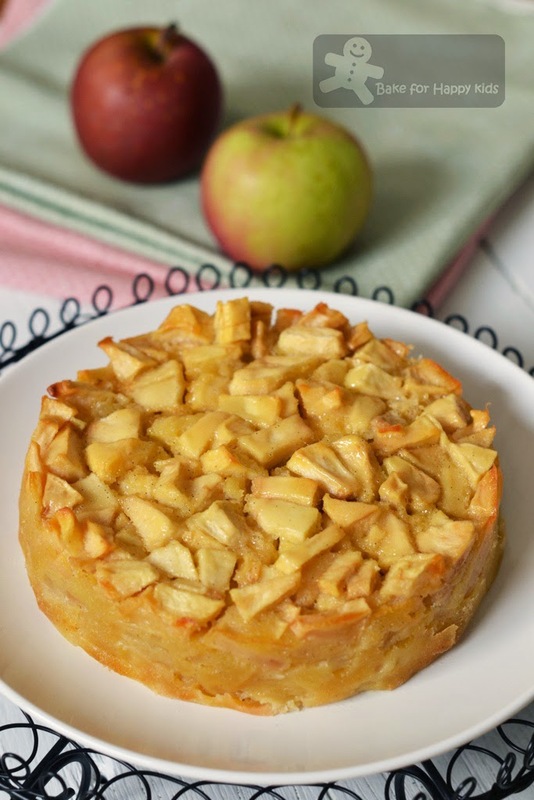 This unique apple cake is baked with generous amount of apples. So generous that the apples constitute more than 50% of everything in this cake. It is baked by a recipe from the book, Around My French Table: More Than 300 Recipes From My Home to Yours by Dorie Greenspan. According to the name of the recipe, this recipe was originally inspired by Dorie's friend, Marie-Hélène who is a top editor of the Louis Vuitton City Guides and one of the restaurant critics for the Paris edition. Marie-Hélène has demonstrated the baking of this cake with great generosity of added apple with no exact recipe to follow... Yes, it is true. A French friend told me before that French likes to cook a lot with feeling. I can't help to laugh knowing that French likes to agak agak too (meaning estimation in Malay). When Dorie asked Marie-Hélène for her recipe, she was told that this cake is baked with 2 eggs, a little bit of these and a little bit of that. Fortunately, Dorie have managed to figure the full content of this cake that Marie-Hélène has roughly mentioned and wrote it with concise details in her book. Have you ask yourself... What is the apple of your eye? Apples that are crisp? Soft? Sweet? Tart? 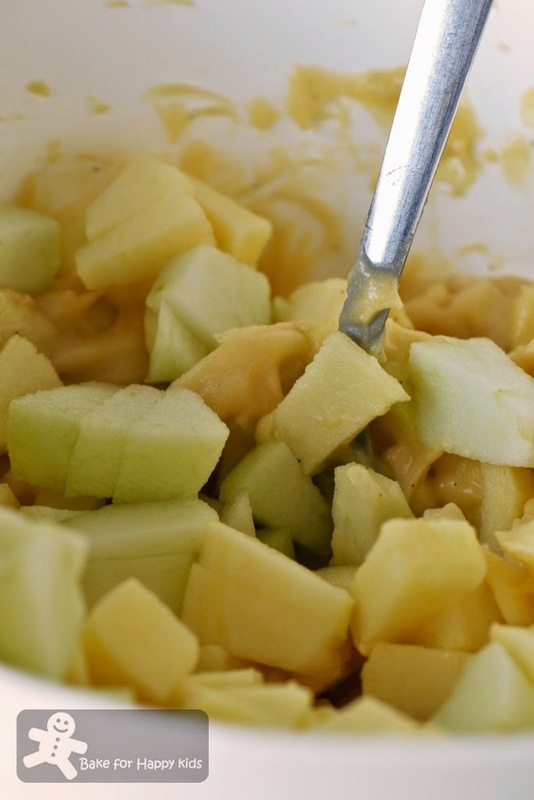 Mix in heaps of apples. 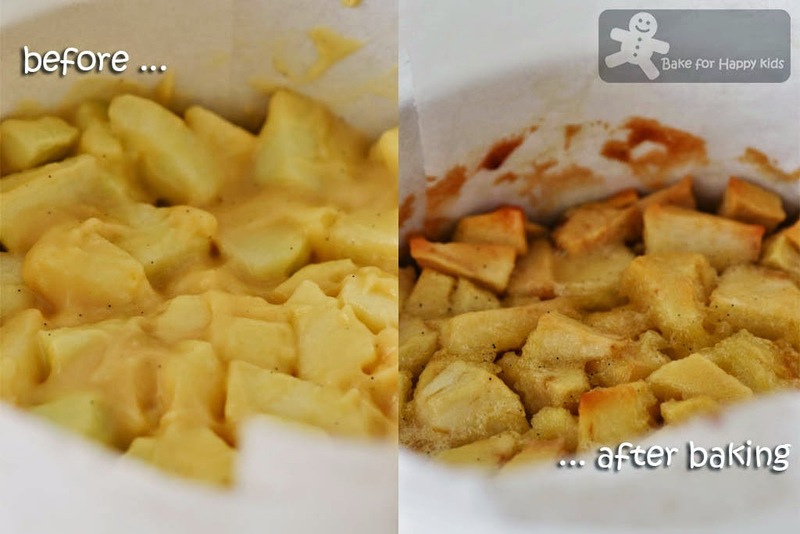 I'm surprise that this small amount of cake batter can hold 4 apples together! Every slice and bit truly appreciate the beauty of apples. Note: The original makes one 20 cm round cake with 4 large apples but I have made one 14 cm round cake with 4 small apples. Place a rack in the center of an oven and preheat the oven to 350°F or 160°C fan forced. Line a 14 cm loose bottom or springform pan with baking paper. Peel the apples, cut them in half and remove the cores. Cut the apples into 1- to 2-inch dices. Using a hand whisk, beat the eggs and sugar in a medium bowl until mixture is well combined and foamy. Whisk in the rum and vanilla. 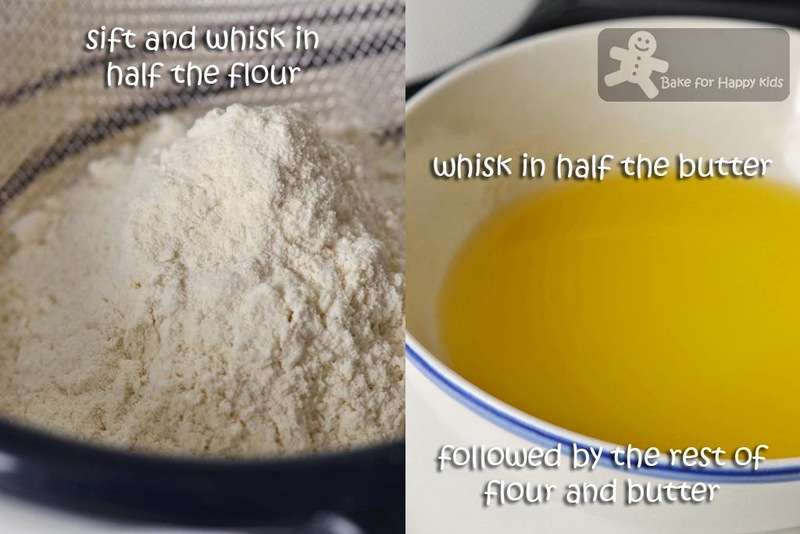 Whisk in half the flour and when it is incorporated, add half the melted butter, followed by the rest of the flour and the remaining butter, mixing gently after each addition until batter is smooth and thick. Fold in the apples, tossing the fruit so that every dice is well coated with cake batter. Scrape the mixture into the pan. Press the mixture gently with a spoon or spatula so that mixture is well leveled in the pan. Bake for 60 mins, or until the top of the cake is golden brown and a skewer inserted comes out clean. Do not remove the cake out of the pan at this stage. Transfer the cake (in the pan) onto a cooling rack and let rest for 5 mins. As the cake cools slightly, it may pull away from the sides of the pan. Carefully and gently run a blunt knife around the edges of the cake and remove its sides from the pan. Allow the cake to cool until it is just slightly warm or at room temperature. If you want to remove the cake from the bottom of the springform pan, wait until the cake is almost cooled, then run a long spatula between the cake and the pan, cover the top of the cake with a piece of parchment or wax paper, and invert it onto a rack. Carefully remove the bottom of the pan and turn the cake over onto a serving dish. The cake can be served warm or at room temperature, with or without a little softly whipped, barely sweetened heavy cream or a spoonful of ice cream. Dorie Greenspan said that Marie-Hélène's served her cake with cinnamon ice cream and it was a terrific combination. Somehow, I don't know why but I just like to enjoy it simply on its own. wow! It looks insane! I love this recipe! 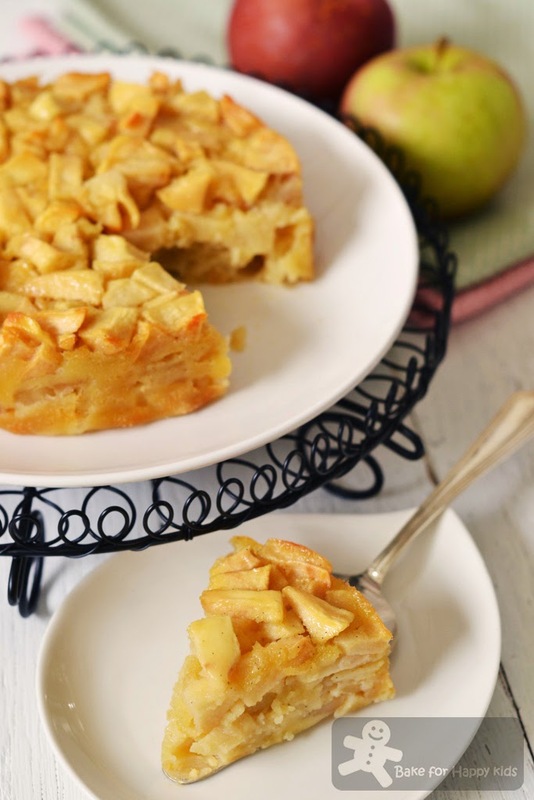 Hi Zoe, I love this easy and delicious apple cake recipe ! I read the first word too fast, I thought you're gonna make Marie biscuits.. haha.. Hmm, I grow up with it (dunk in Milo), if you really make Marie biscuits, I promise you I will lick my pc screen! LOL..
Oohh, I like apples too, nothing can go wrong with apples - apple pie, apple cake, apple strudles, even apple tong-sui.. I used to boil apples+suet yi (white fungus)+papaya+red dates+rock sugar+longan. Yeah, sounds like a lot of ingredients, but I just chuck it into the slow cooker, and whoa, you get a really delicious and "yun" tongsui the next morning.. Your apple cake looks so cute, too cute to eat.. Size looks ok, I think I can dig in with a spoon, no need to slice for me, hehe.. Ingredients look ok, I have everything (except the rum).. I think can do next time.. I loved this cake! It's so good! very "apple-ny" indeed... this looks insanely delicious. a small slice with a cup of tea... life is simply good! Apple Treat!!! Cake is just a delicious one!! I like the look of the apple cake, looks so petite. Must taste good too! Zoe, I can see that this apple cake is so full of apples! It is practically made from apples as you have mentioned in your post. It is surely an apple lover's delight! Zoe, I just baked the gluten free apple muffins yesterday. Would love to bake this too as the recipe looks simple with only 2 eggs. Such a gorgeous and very furity cake, hard to resist to it. Hi Zoe, what a delicious cake, full of flavour too. Thanks for sharing. Thanks for reminding me of this cake. I made it a couple of years ago and really enjoyed it! A drunken apple pie that's great! Z, I love that there's more apple in this than cake! 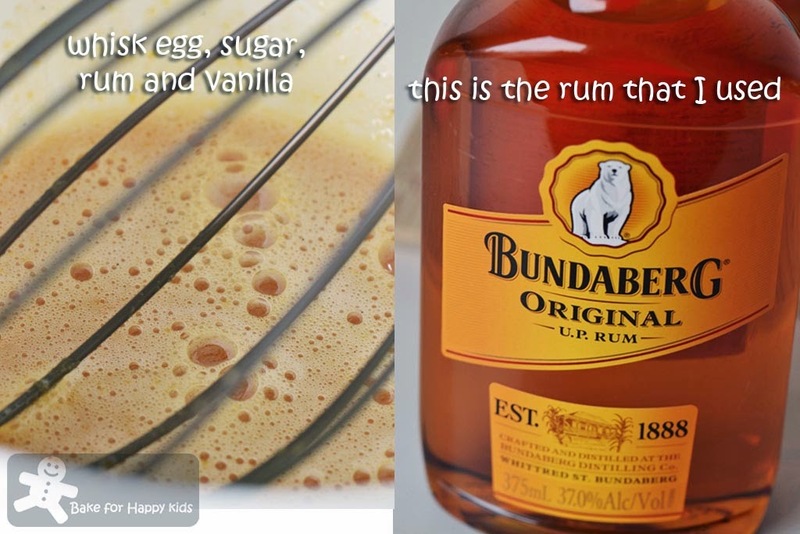 Love Bundaberg rum. My sis-in-law makes the most delish choco-rum balls w it. Lovely look recipe, I think my obsessive phase is going to hit again! This cake looks amazing to me! I have baked this cake around that time when her book was published, as this recipe was given at that time. This cake was really nice and my sister like it so much, that she went back home and bake it again. What a healthy apple loaded cake! Would love to taste it together with the cinnamon ice-cream that Marie Helene served with! 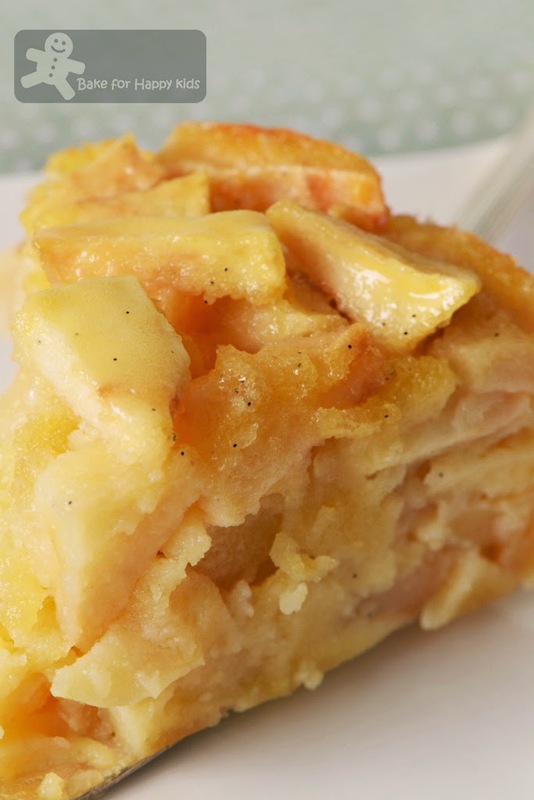 Zoe, who doesn't love apple cake, or apple pie?...and the recipe from Dorie! Wow, and wow! Absolutely divine, and super gorgeous apple cake! Love the apple pieces on the top...yumm! Tucking this away for after our apple picking adventures. Zoe , I bet Marie-Hélène was wearing fashionable clothes when she baked this gorgeous apple cake lol I love the insane amount of apple in this cake , it'll be great with a cup of tea or coffee ! Zoe this looks amazingly moist!! !